The Bark Willard Mudgett was built in 1874 in Stockton Springs, Maine. 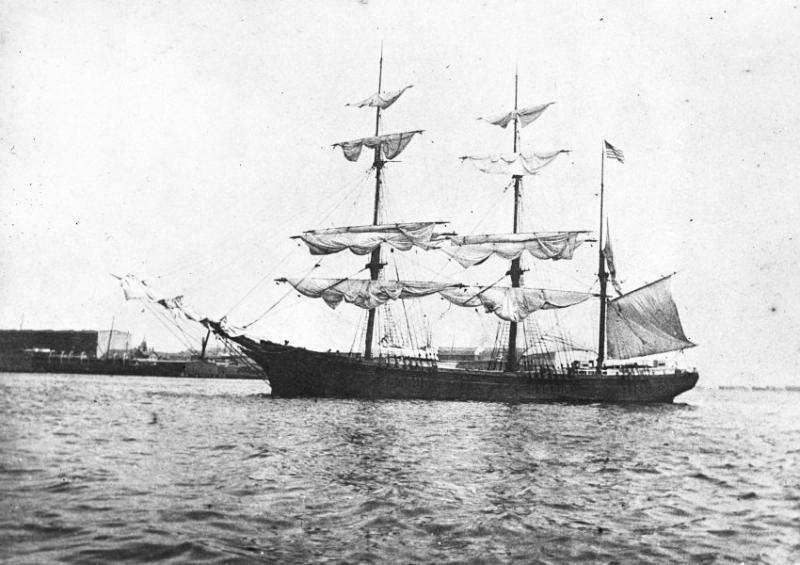 She sank in 1904 while under the command of Captain Frederick Blanchard. Captain Blanchard's father, Captain William H. Blanchard, was aboard. There were no survivors. This is a copy photograph.